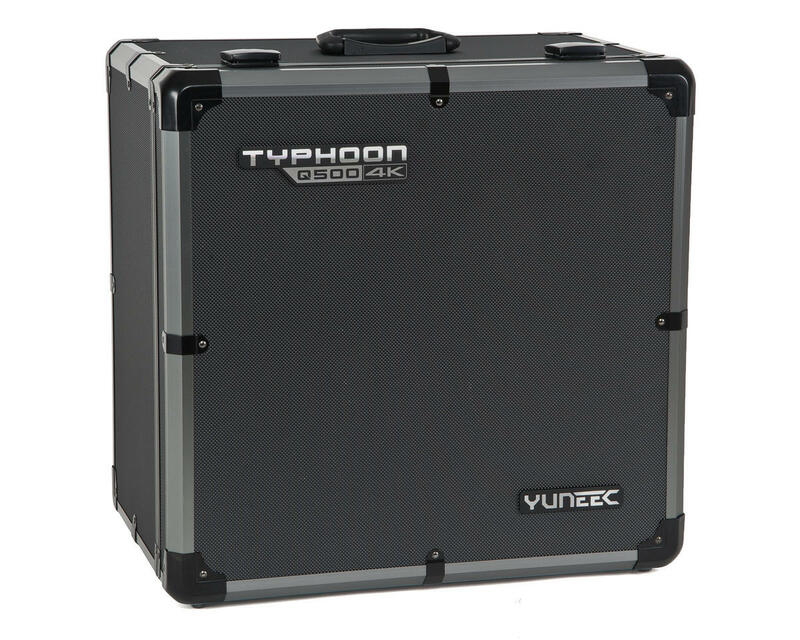 Yuneec's Q500 4K Typhoon RTF Quadcopter Drone package is an incredibly powerful, professional grade drone that is suitable for a variety of uses. 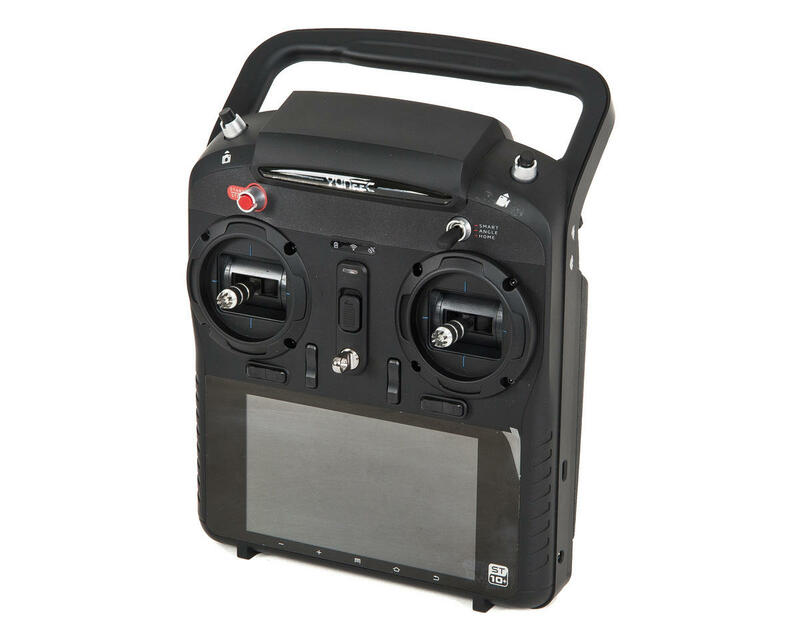 With features that include the ability to capture 4K/30fps video from the CGO3 camera gimbal, 25 minute flight times, and a touch screen personal ground station built into the ST-10+ transmitter, combined with powerful, yet easy to use programming features like follow me and watch me, the Q500 4K is a great choice for professionals and aerial videography enthusiasts alike. This Q500 4K Typhoon includes ST-10+ transmitter, CGO3 camera gimbal, two 11.1V 5400mAh Batteries, an aluminum case, and the hand held SteadyGrip gimbal holder, as well as all the other accessories you need to get flying today! Aluminum Case: The lightweight aluminum case is equipped with compartments for every niche. The case provides easy travel with style, while ensuring equipment is secure and locked up all in one place. Whether you are on the road or on the fly, the case allows you to venture into your world, capturing every moment along the way. 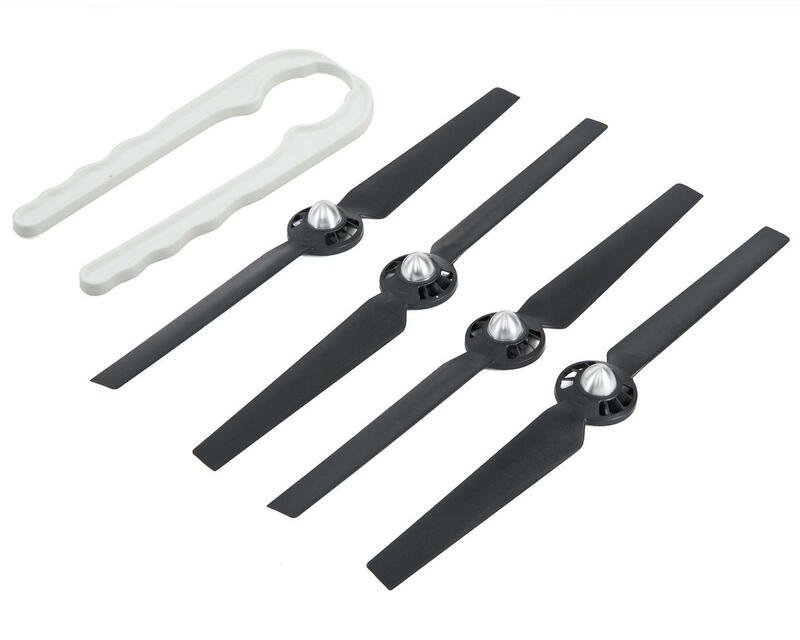 Propellers: The twist-on design makes assembly easy by simply rotating A and B labeled propellers. A propeller tool is also provided to help installation. 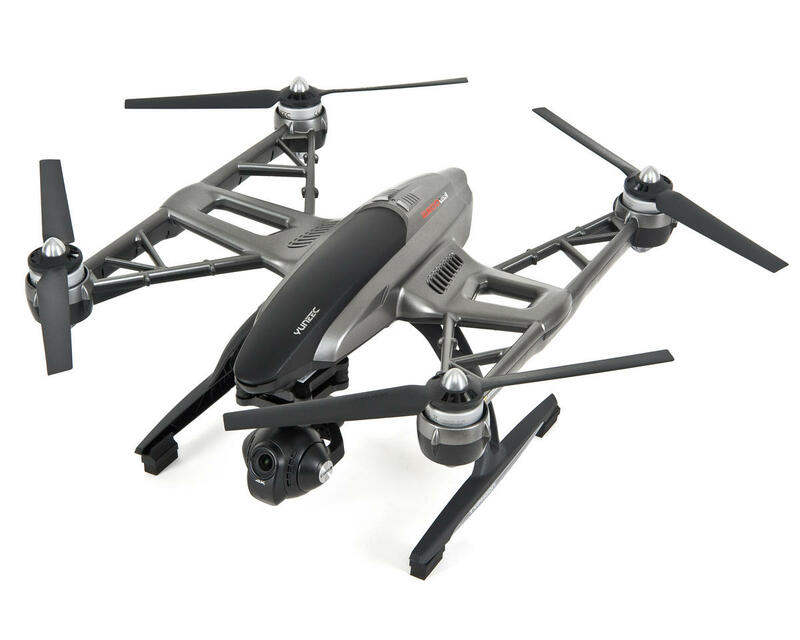 Battery: The TYPHOON Q500 4K comes with a 5400mAh 3S 11V LiPo battery, allowing for an extended flight time. The sleek pop-open compartment allows you to quickly and effortlessly slide in and swap batteries for even more flight time. 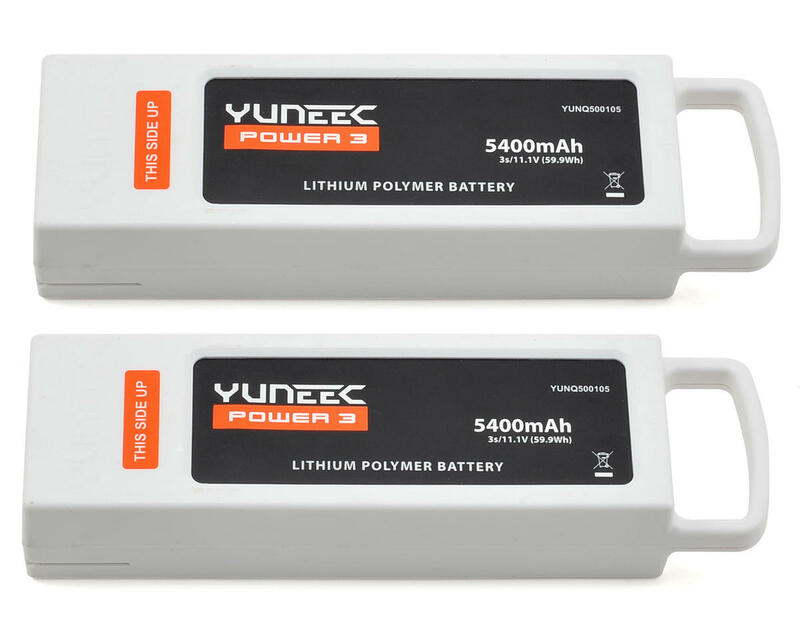 25-Minute Flight Time: Made by experts in electric propulsion and electric aviation, the Yuneec Typhoon Q500 4K comes with a 5400mAh 3S 11.1V LiPo battery, giving users a superior flight time of up to 25 minutes. Steadygrip: The STEADYGRIP™ CGO3 system combines a 3-axis precision gimbal with Yuneec's 4K Ultra High Definition video camera, allowing you to capture amazing and stable video footage. The camera pitch controller allows precise camera angle control while on-the-go, using a mobile device, with up to a 6.4-inch display. Follow Me: When Follow Me is enabled, the aircraft is leashed to the pilot, who is controlling the ST10+ location. With this feature, flying and capturing video following the pilot is easy, flexible and intuitive. Watch Me: When Watch Me is enabled, the 4K camera stays pointed at the pilot, holding the ST10+, in focus and in frame, no matter which way the drone is maneuvered. Dynamic Return Home: Switch to Home Mode, and the Typhoon will fly back towards the location of the pilot holding the ST10+, and will automatically land within 13 to 26 feet (4 to 8 meters) of the pilot. Distortion-free Lens: The CGO3 camera features a 115-degree wide-angle distortion-free lens that allows you to see the world just as is. 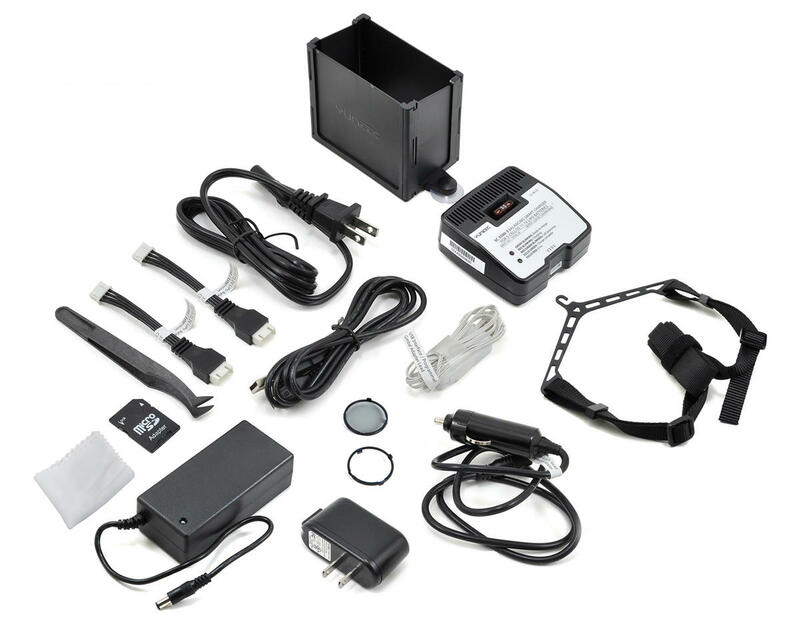 Professional Camera Interface: Real-time telemetry data made available on the screen during flight including flight mode, altitude, speed over ground, distance from home, camera status, GPS position coordinates, and aircraft battery status. 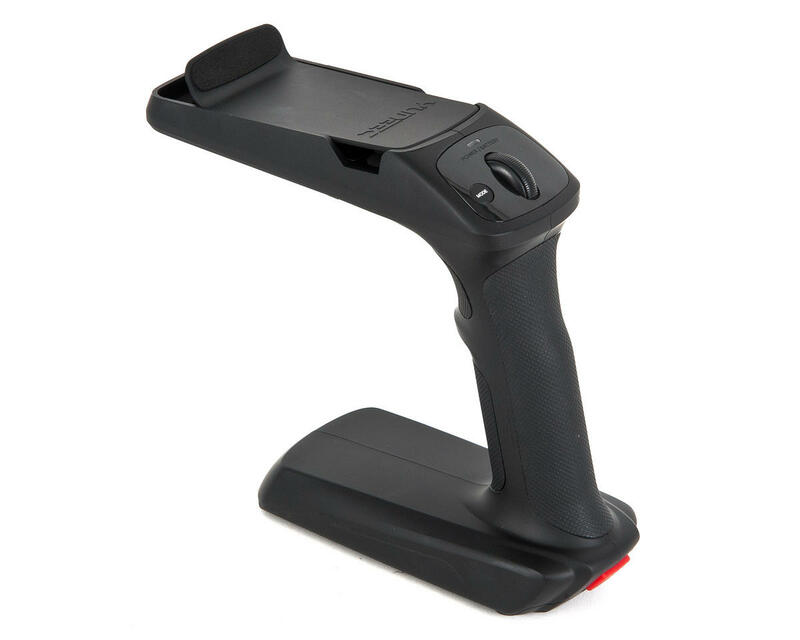 Controls expected by professionals include adjustable video resolution and white balance, while light exposure can be controlled automatically or manually, including ISO and Shutter Speed. The camera also allows users to take pictures in RAW(DNG) and JPEG format.